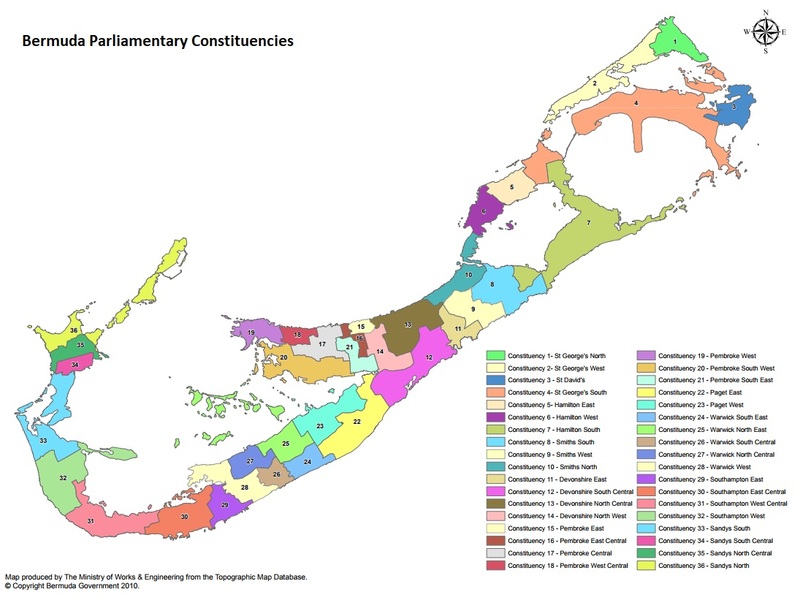 Bermuda is divided into 36 constituencies, each represented by one member in the House of Assembly. Under the Constitution, a Boundaries Commission is appointed every seven years to examine and, if necessary, to revise the boundaries of these 36 constituencies. Each constituency is approximately 0.58 square miles on average, with between 1,031 and 1,143 voters.